(Leah Hogsten | Tribune file photo) Shades of Pale Brewing Co.'s beers on tap. 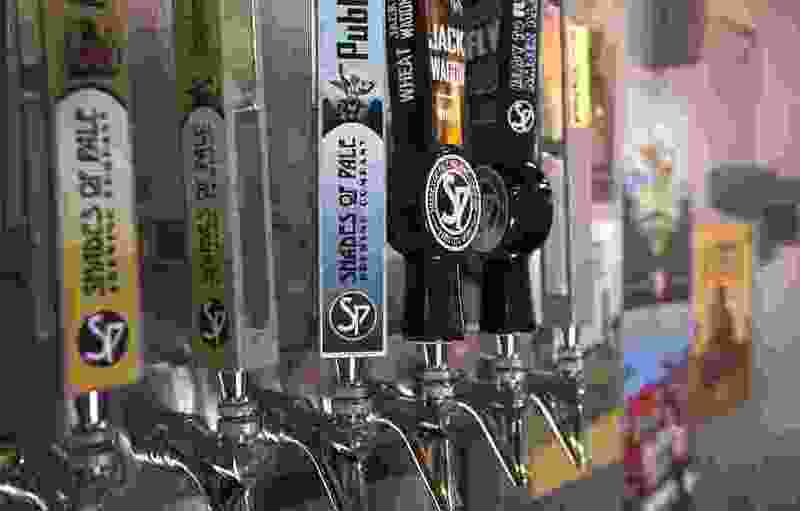 The mayors of Salt Lake City and Ogden declared April Craft Beer Month in their respective cities Monday, hoping to draw attention to the growing craft beer movement in the state. Both leaders know, of course, that beer does more than just quench a thirst. It creates jobs, brings tourists and boosts the economy. Take a look at some of Utah’s latest beer numbers. 23 • That’s how many craft breweries are producing and selling beer in the state, said Cassie Slattery, executive director of the Utah Brewers Guild. Several more are in the works, including SaltFire Brewing Co. (more on that below) and Toasted Barrel, in Salt Lake City. “I’m estimating that we will have 30 either open or very close by the end of the year,” she said. 10 • Ten brewers are based within a 6-mile stretch between 200 South and 2100 South in and around Salt Lake City. The newest addition to this Brewers Byway is Kiitos Brewing, 608 W. 700 South. Others are Desert Edge, Epic, Fisher, Proper, Red Rock, RoHa, Shades of Pale, Squatters and the Utah Brewers Cooperative. Almost 4 • Ogden has two beer production facilities, Roosters Brewing Co. and Talisman Brewing. That number is expected to double in the near future with the addition of Roosters B Street Brewery in the new “Trackline” development off Avenue B, and the Ogden River Brewing Co., under construction at 1921 Lincoln Ave., the same location where, in 1890, Utah’s historic Becker Brewing and Malting Co. was founded. 4,500 • The number of full-time jobs Utah’s craft brewing industry supports, with an average wage of $43,000 a year, Slattery said. 27th • In 2016, latest year available, Utah produced nearly 200,000 barrels of beer. That makes Utah 27th in production of craft beer in the nation. $425 million • The craft beer industry has a $425 million impact on the local economy, and has ties to tourism, economic development, manufacturing, agriculture and the service industries. 3.2 percent • The growth of Utah’s beer industry has come despite having some of the strictest liquor laws in the country. Utah breweries and bars can only serve beer that is up to 4 percent alcohol by volume (that’s 3.2 by weight) on tap. Higher-alcohol beers can be served in bottles. The industry also is waiting to see what will happen later this year when the selection of 3.2 beer available in grocery and convenience stores is expected to decline. Coming in 2018 • SaltFire Brewing, 2199 S. West Temple, should be the next brewery to open. Owner Ryan Miller said he is waiting on his business license from South Salt Lake. 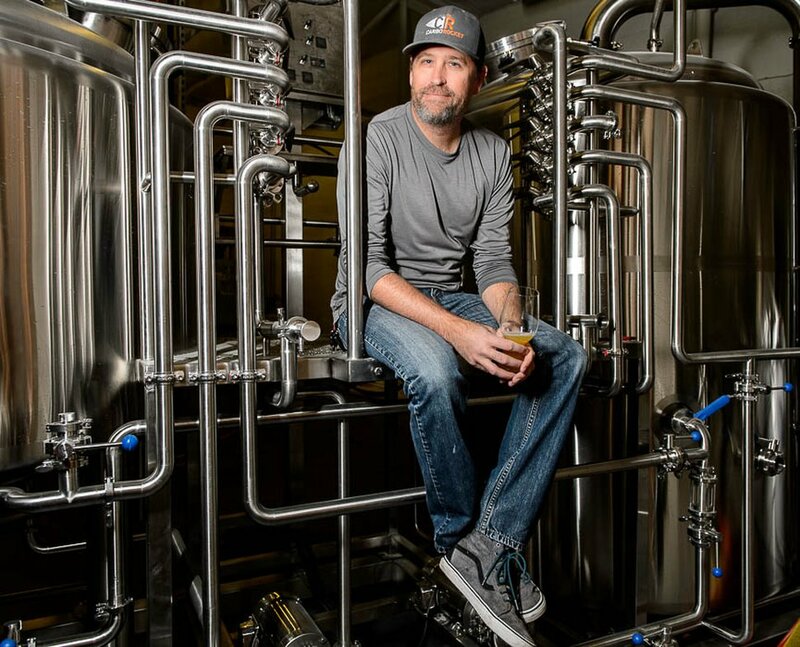 He plans to launch with four brews: a double IPA, a single hop IPA, a New Zealand Pilsner and a Kolsch collaboration beer, produced with the Pink Boots Society and Hop Bombshells, the women’s homebrewing groups in Utah. (Trent Nelson | Tribune file photo) Ryan Miller, owner of SaltFire Brewing Co., in South Salt Lake.